Here is what I did. 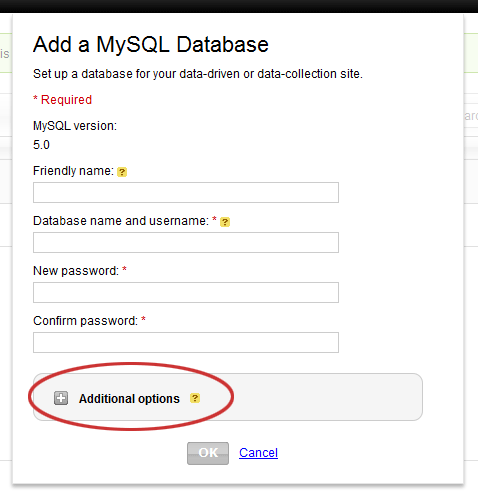 Create a new database and click on Additional tab to expand your options. Click the radio button on the bottom. I exported the old data from a database I wanted to keep and imported into the new one so it can be read from another site on another host. Running WAMP version 2.2 I was testing a joomla site that was going to need to connect to an external mysql database. I used a file that was on the local host calling to the external database resource, but it didn’t work. I learned that Fopen Wrappers was set to “0”. This is the error. Specifically “allow_url_include=0” was the issue. I opened php.ini and searched for “allow_url_include=0”, but nothing returned. Turns out “allow_url_include=0ff” is what it was set to. I changed the value from “off” to “on”, restared WAMP. No more error. Configuration file for moving a Drupal site to a new host. Moved a Drupal site from old host to localhost, and then to a new host. Basically FTP the files and export and import the MySQL database. The last thing is to change the database connection. Find the following file. Turned out i just need to increase the upload size. Here is how you do it. I have an Joomla 1.5.15 site that I should have been upgrading, but was afraid to ask the client for money. The data center and website got attacked. Site is back up but we want new hosting. There is a VirtueMart component installed, JCE, other extensions and some custom PHP modules. Not just a basic install. Joomla.org has a good write up about it. Here is a link to it. Using WAMP I put the backup in a directory. Download Akeeba Kickstart and extract my current site to a local. If all goes well locally I will either repeat the process on the live site. If the migration goes bad on the live site, I will use my local version. I will delete the live site. Package up my new local site with Akeeba and use Kickstart on the live site to get the site backup. Here is complete documentation from Joomla. First thing when upgrading from 1.5 to 2.5, the 1.5 must be the Joomla 1.5.26 version. 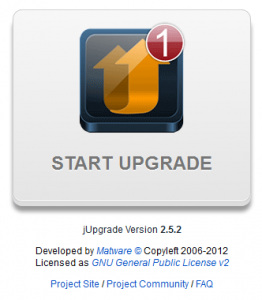 Download the upgrade package you need to get your site to 1.5.26. You simply copy all the file over and overwrite them. The administrative area will now say “version 1.5.26”. Second thing is Joomla 1.5 to 2.5 is a big deal. Requires jUpdate component to get it done. It took me a couple of times to get this to run. Even after enable system Mootools upgrade plug-in. Curl settings on my localhost needed to be changed. Just below there was tiny text that read “406: cURL not loaded”. I didn’t get this every time I tried the updating. Scroll down to “Fixed curl extensions and select your version of PHP. php5.3.13\ext folder. Restart WAMP and install finished. 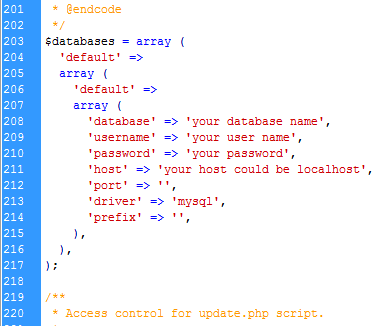 Doing an upgrade with WAMP & PHP 5 required me to do some more work with CURL. I found this article that got me started on getting past the “Checking and cleaning” dialog box. I finished an upgrade to a Joomla 1.5.25 website with Lyftenbloggie running to a Joomla 2.5.x running EasyBlog. First there was upgrading Joomla 1.5.25 to 1.5.26. I used Akeeba and backed up the site. Downloaded that package and used Kickstart to get the site installed locally. The upgrade went fine and I applied that to the live site. The commenting issue with the site didn’t get fixed. Next i needed to install EasyBlog. I purchased the 79.00 pro version, downloaded the 1.5 and 2.5 versions, and installed the 1.5 first. Then I could migrate from Lyften to Easy. Easy didn’t install from the zip, so I unzipped the files into the tmp folder of the website and used the “install from directory” option and that worked. From there I did a jUpgrade on my local site. 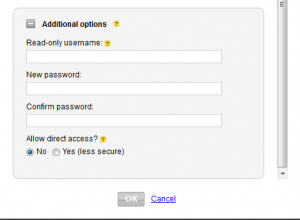 Deleted all the 2.5 database entries for EasyBlog. I needed to export all the 1.5 EasyBlog database tables and import them into the 2.5 database. I then deleted all the files in the 1.5 tmp directory and unzipped the EasyBlog 2.5 install files and used the same path to install EasyBlog into the Joomla 2.5 site. The template needed to be rewritten to comply with 2.5 standards and reinstalled. Finally I installed Akeeba and backed up the 2.5 local site. Used FTP to get the files on the new server. Uploaded and ran Kickstart and in minutes the site was up and running. I Here is a thread that got me started. In case the page gets lost here is the steps. 1. 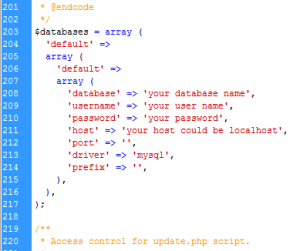 Open up PHPMyAdmin tool that is provided by your hosting provider and open up your current site’s database. 3. Download the .sql file and save it on your desktop. 4. 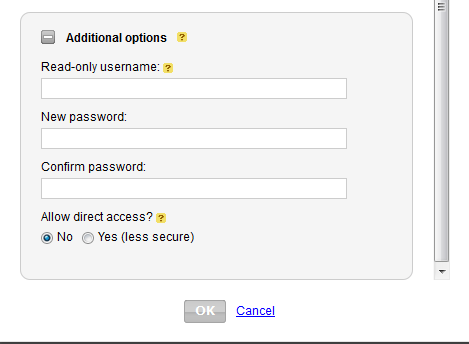 If your new site’s database prefix also uses jos_ , then you can skip this part. However, if you are using a different database prefix, you’ll need to edit the .sql file that you’ve just downloaded, and do a search and replace of jos_ with your new database prefix. 5. 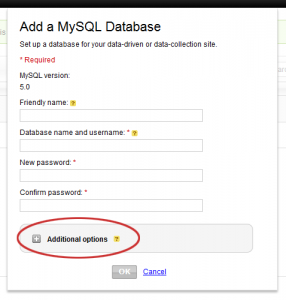 Open your PHPMyAdmin and this time, open up your new site’s database. 6. You should see an import link at the top. Click on that, and click on browse. Select the .sql file and click the run import button. 8. Enjoy blogging! If you have any problems at this point, drop us an email and we’ll take a look at this.